Where do your “glory days” lie? In the windshield or the rear view mirror? I made up my mind a long time ago: I am not going to live in the past – only telling people who I used to be because my present life is not worth mentioning. I am not going to make the mainstay of conversations on bygone days because the best of me lies in the past. I am not going to give up any ground I’ve earned in the present moment; it will have to be taken from me. In fact, I am not going to just stand my ground – I am going to move forward as I age. And, I most certainly am not going to live precariously through the lives of other people – real or on television. Life has shown many of us that this mindset is easier said than kept over the long haul. It’s easy to be sidelined by health, financial and other issues, and it can be hard to get back in the game. It can seem easier to give up that ground; to relinquish the fight to maintain your forward momentum. However, doing so may tend to make one feel sad, numb, bring a life-long career to a close, limit one’s world (alone and in relationship with others), make one’s mental, physical, and financial health suffer, and more. With those things in mind, you can clearly see that it is not easier to give up. It takes a toll on our spirits – replacing light with darkness. It takes a toll on our bodies – replacing health with atrophy and illness. It takes a toll on our social lives – replacing family and friends with loneliness. It takes a toll on our financial lives – creating a great change of lifestyle – even precipitating a move. Motivational, positive messages can be transformational to a person during a temporary setback; touching a place deep within and igniting that passion for living again. It may take a while for these messages to penetrate deeply enough to awaken us from our slumbering state of surrender; depending on our individual circumstances. It takes people on your side, cheering you on, validating your capabilities and worth – and sometimes – just being present. The cumulative effect of positive, motivational messages and people will germinate the tiny seed of passion that has been buried under a landslide of troubles. That buried passion will burst forth – forcefully and unexpectedly – into the light again. Mine did and I found that I was able to re-connect with the promises I made to myself years earlier. When that happens, you are ready to reclaim your life. I started by taking an inventory of where I was – right at the moment in the seven dimensions of wellness. I started exercising – regularly. I began to eat healthy foods again. I listed new goals I wanted to strive for. I began enjoying the anticipation of trying new things. I started to get out more. To sum it up, I became intentional about the life I was given and not a victim of it. Do you need to reclaim your life? If you’re in a dark place right now, please stay connected to people who can motivate, inspire and bring positive thoughts into your life. At first, you may feel like you’re wiping them away, like a fly that has landed on your arm. Let me assure you, those people and messages are watering that seed of passion that is buried in the darkness of your troubles. Keep watering the seed and it will germinate. When it breaks through into the light, you will one day – in the not so distant future – reclaim your passion and your life. 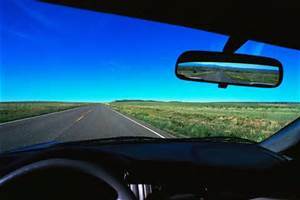 As you continue your journey to become Refined by Age™ you just might discover your “Glory Days” lie ahead of you – in the windshield instead of in the rear view mirror. Note: I would personally like to thank Lori Campbell, visionary gerontologist (Age Potential, Forever Young), for her tenacious daily positive posts. It was after reading one of her posts on prevention that my buried passion burst forth – forcefully and unexpectedly – into the light again. Thanks, Lori. Keep motivating others and giving them the hope they are so badly in need of. Reblogged this on Relentless: The Last Disciple. An vital and powerful message. Thank you Kathy. I’m enjoying “igniting that passion for living again” right now, Kathy! So I can relate to this great post! All the things you mentioned; exercise, setting goals you’d like to achieve, doing things you love to do etc. help to do this.